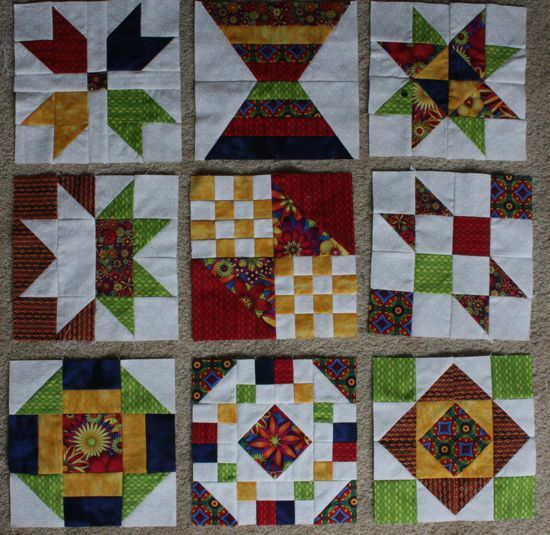 I've ignored my various quilting projects for the last month or so, while I was working on projects for Caitlyn and the siggy blocks. I'm now playing catch-up, chasing down the cool kids, waving my rulers, bits of fabric fluttering behind me: "Wait for me!" Block 9 is my favorite of this bunch. Note to self, though: don't try to assemble this one at the very end or the very start of the day. 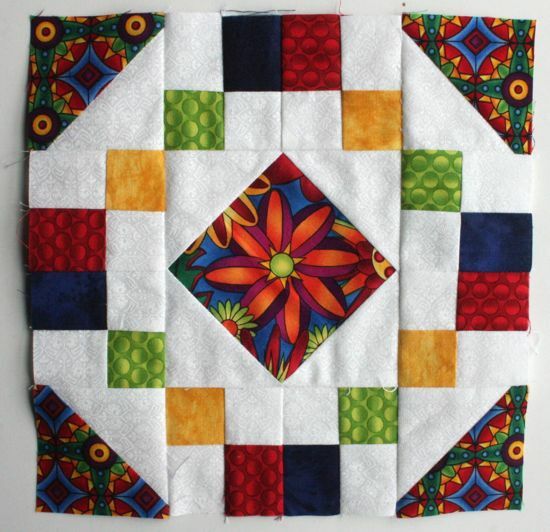 I unpicked seams so many times on this one and still kept putting the corner triangles in upside down! I think there are 3 more blocks to go and then I think we're on our own for layout and finishing. I'm currently thinking about putting them all on point with big white spacer squares between them. 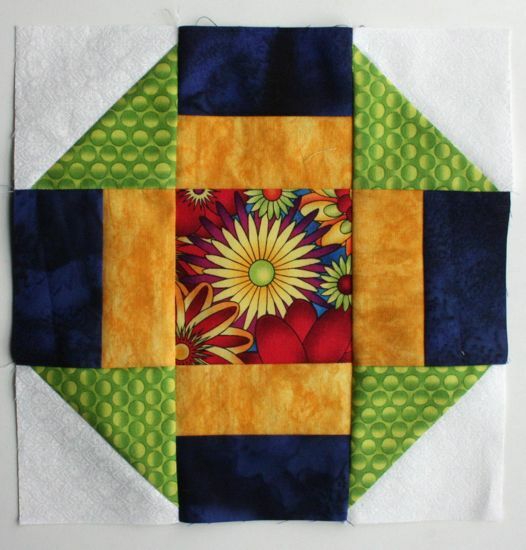 It's also looking like I'll have leftovers of the fabric I'm using, so I could do second versions of my favorite blocks for a total of 16 blocks and then do a 4x4 layout with sashing. Mock-ups ahead! 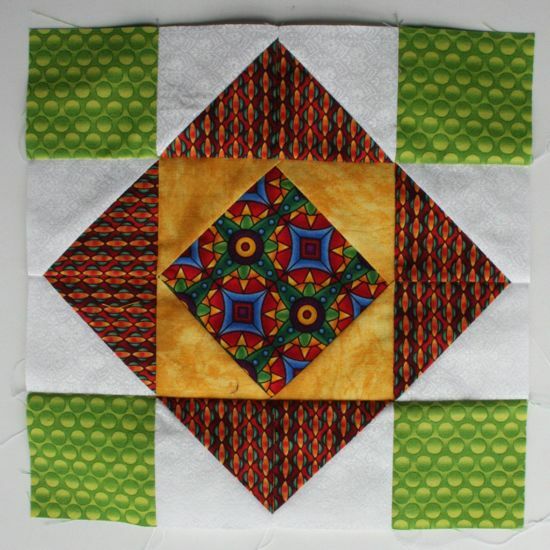 It's all about the set with sampler blocks, isn't it? Have fun with it! Those are lovely fabrics, it's going to be a smashing quilt.